“Unless you’ve been under a rock somewhere for the last 100 years, you’ll definitely have heard of Seiko. And if you have been living under a rock for the last 100 years, once you’ve got over all of the crazy new technology you’ll see all around you – you’ll soon realize why one of your first new purchases needs to be a Seiko watch. Seiko are well known around the world due to the wide range of media partnerships they have. Arnold Schwarzenegger, Sigourney Weaver and Novak Djokovic have all been seen with different Seiko watches throughout history. They are also well known for their accuracy that they have been named as the official timekeeper for numerous sporting events, including numerous FIFA World Cups and Olympic Games. 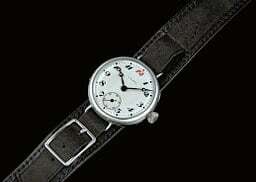 Of course, it wasn’t always this way, Seiko have not always been a world famous brand. They had humble beginnings and have grown over the years, amassing some huge achievements along the way. Let’s have a look at the incredible history and see how they became the incredible famous brand which we all know and love today! The history of this company goes all the way back to the 19th century. Founded by Kintarō Hattori, became an apprentice to a sundries wholesaler at the age of 11. When he was just 13 he had an innovative idea – after seeing a nearby clock shop he realised that a clock shop could make money not only by selling clocks, but by fixing them too. 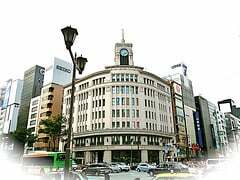 He went to work in a clock shop to learn everything he could about them and, in 1881, at the age of 21 he founded the business which would become Seiko by opening a clock shop called “K. Hattori” in Tokyo. Kintarō Hattori imported clocks from a foreign trading house in Yokohama to sell in his store. He built up a fantastic relationship with the trading house by paying off all of his invoices by the due date, which was not a custom at that time. The great relationship allowed Kintarō to purchase larger orders and gain access to products earlier than his competitors. With such a wide range of new and exciting products the store became incredibly popular and his business grew very quickly. Kintarō’s next aim was to become a manufacturer, in order to achieve this aim he hired Tsuruhiko Yoshikawa, who was a very gifted engineer. In 1892 he set up the Seikosha (which roughly translated, means “House of Exquisite Workmanship”) factory in order to start producing high quality, high priced wall clocks. The first clocks were produced within 8 weeks of opening the factory, under the Seikosha brand. During this time the K. Hattori shop continued to grow in popularity and another shop at 4-5-11 Ginza, in Tokya. This shop opened in 1894 and had a clock on top of it which was known as the “Hattori Clock Tower”. The building has been restored since but a clock still remains on the building in homage to Kintarō Hattori. The first pocket watch made by Seikosha was created in 1895 and the company continued to develop pocket watches with the aim of Kintarō to develop a lasting timepiece business. The pocket watch business didn’t take off instantly and ran at a loss for the first 15 years. In 1910 improvements in technology brought new machinery which helped increase production and allow the pocket watch business to turn a profit for the first time. Around 1910 Seikosha also started exporting wall clocks to China, helping grow the business even further. After the First World War the demand from China increased as they were no longer able to import from Germany. Kintarō had brought a huge amount of materials when war first broke out and was in a great position to compete with western manufacturers. The success in China earned him the title of the “Japenese King of Timepieces”. However, Kintarō was always looking forward and he predicted that there would be a shift in the coming years from pocket watches to wristwatches. In 1913 Seikosha developed the first Japanese wristwatch – The Laurel as the companies first steps into the new wristwatch market. The birth of the Seiko brand of wristwatches may not have happened if it wasn’t for a stroke of luck after an incredible disaster. In 1923 The Great Kanto Earthquake struck Japan and destroyed the Seikosha factory, burning it to the ground. Only days earlier a vitally important prototype of a new generation of new generation of wristwatches had been completed in the factory which had been destroyed. Luckily, it was able to be recovered from the factory. Despite the disaster, Kintarō started to rebuild the company almost from scratch. Wall clock shipments started again in the following March, which was incredible considering that the entire manufacturing facility had been destroyed in the earthquake. Come in to luxamart today for the greatest value for your jewelry needs! We buy and sell diamond rings, gold, silver, platinum and coins. We also sell and buy luxury watches including Seiko, rings, necklaces and much more. We are located in booming frisco, TX at Lebanon and Preston Rd. Coast Diamond Wedding and Engagement RingsWhat are the different styles of Rolex timepieces?